John Muir was born in Maryhill, Scotland in 1879. After leaving school he became an engineer. 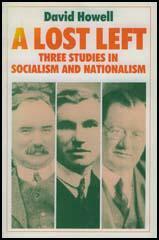 He also joined the Independent Labour Party and began working closely with other socialists in Glasgow including John Wheatley, Emanuel Shinwell, James Maxton, David Kirkwood, Campbell Stephen, William Gallacher, Tom Johnston, Jimmie Stewart, Neil Maclean, George Hardie, George Buchanan and James Welsh. Muir was opposed to Britain becoming involved in the First World War and was a member of Clyde Workers' Committee and organisation that had been formed to campaign against the Munitions Act, which forbade engineers from leaving the works where they were employed. 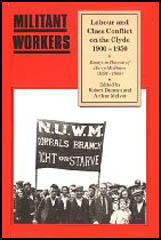 Muir was also editor of the Clyde Workers' Committee journal, The Worker. In 1916 the newspaper was prosecuted under the Defence of the Realm Act for an article criticizing the war. Muir and William Gallacher were both found guilty and sent to prison. Gallacher for six months and Muir for a year. In the 1922 General Election Muir was elected to the House of Commons for Maryhill. Also successful were several other militant socialists based in Glasgow including David Kirkwood, John Wheatley, Campbell Stephen, Emanuel Shinwell, James Maxton, Tom Johnston, Campbell Stephen, Jimmie Stewart, Neil Maclean, George Hardie, George Buchanan and James Welsh. In January 1924 Ramsay MacDonald appointed Muir as Minister of Pensions. However, he lost office when he was defeated in the 1924 General Election. John Muir, who was Secretary of the Workers' Educational Association (1928-31), died on 10th January 1931. The Worker, the organ of the Clyde Workers' Committee, came out with an article against those violent extremists who proposed to use force to stop the War. It ridiculed the idea. The military people, who by this time had gone daft, read the article as an incitement to the use of force. My old friend, John W. Muir, the editor; Walter Bell, the, printer; and William Gallacher, the President of the Committee, were arrested. John Muir was charged with having written the article. He did not write it nor did either of the other two arrested men. The man who wrote the article was married and had a family of five children. John Muir was unmarried. He accepted the responsibility. There were only three persons who knew the author - John Wheatley, Rosslyn Mitchell, and myself. It was suggested that Muir should reveal the secret. He refused, saying : " Some one is going to jail for this because the Military has read it the wrong way. If ---- goes, there will be seven sufferers. If I go, there is only one, so I am going." The trial was fought to the last word. But there had been found in the office of the paper copies of an Irish paper containing a foolish and flaming article by the Countess Markowitz. Great play was made of these papers. " You see what sort of literature this man harbours." The jury returned a verdict of Guilty. John Muir was sent to prison for twelve months, Gallacher for six, and Walter Bell for three. Many years later John Muir was elected to Parliament and became Under-Secretary to the Ministry of Pensions. To the day of his death he never by word or suggestion went back on his word, nor did the others who knew his secret. When, at last, the results were announced, every member of the team was elected - except our champion of the Central Division. What a troop we were! John Wheatley, cool and calculating and fearless ; James Maxton, whose wooing speaking and utter selflessness made people regard him as a saint and martyr ; wee Jimmie Stewart, so small, so sober, and yet so determined ; Neil MacLean, full of fire without fury; Thomas Johnston, with a head as full of facts as an egg's full o' meat; George Hardie, engineer and chemist and brother of Keir Hardie; George Buchanan, patternmaker, who knew the human side of poverty better than any of us; James Welsh, miner and poet from Coatbridge, John W. Muir, an heroic and gallant gentleman; and old Bob Smillie, returned for an English constituency though he was born in Ireland and reared in Scotland.